My most recent choreography challenge is a song and dance number to 'Rehab' by Amy Winehouse. It will be performed at Prohibition Houston by the wondrous ladies of The Moonlight Dolls. 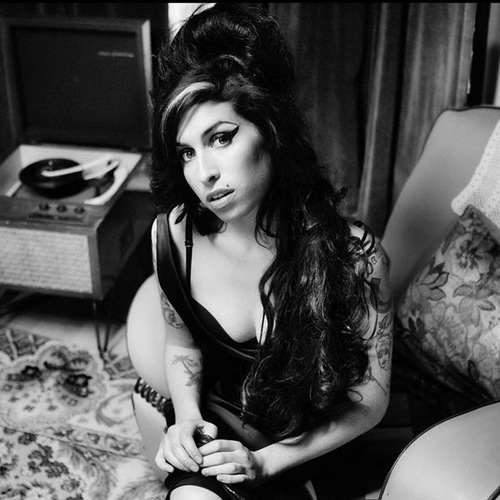 I'm excited, to say the least, as Amy Winehouse is one of my favorite artists. I literally kept her 'Back to Black' album in my car's single CD player for six months straight. Track number four, "Just Friends", used to skip terribly but I would keep on listening. My boyfriend at the time must not have liked Amy as much as I did because I vividly remember him nagging me about having her album on a loop. That moment was a Magic 8-Ball forecast of the entire relationship: 'Outlook not so good'. When I started to brainstorm for this piece, I had very morbid ideas: four-point restraints, straight jackets, liquor bottles, morphine drips, maybe some narcotics. I was thinking tragedy, anger, stubborness; anything that would be slightly disturbing to the audience. Hey! We humans love a good trainwreck and only because we are all slightly derailed, some more than others. 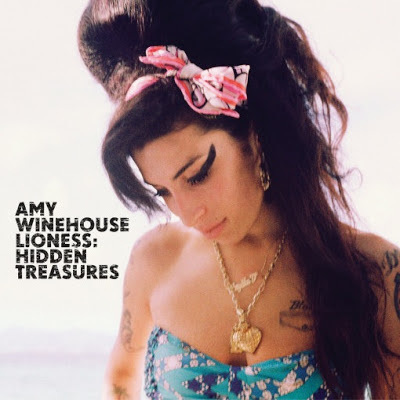 I once read that one of Amy's bittersweet influences was "I Can Never Go Home Anymore" by The Shangri-Las. After a breakup, she sat on her kitchen floor with a bottle of Jack Daniels and listened to it on repeat. I'm too scared to Spotify it as I'm trying to stay in the light on this one. If I relive that moment for her, I might have to hit the bottle too. 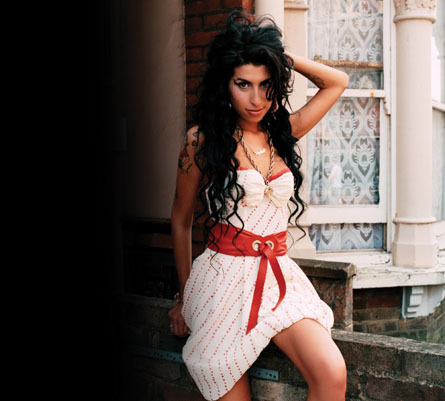 Still, it's that exact candor that I love so much about Amy Winehouse. She wore her heart on her funky bass lines. If the audience was pushing up daisies, her sound would revive every last member. Turn on the song "I'm No Good" and your head will involuntarily begin to bob. Her true beauty could be seen in her God-given talent and so that is what we are going to showcase in this tribute. So step right up folks! In June, these ladies will be knocking this baby out of the park. All for Amy. You can take that to the bank. Currently I have this album in my car. Oh hey there, Sarah! You make a great Amy. 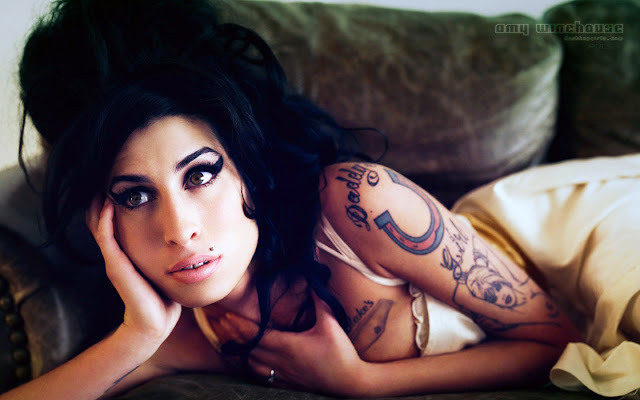 Sarah actually introduced me to Amy Winehouse's music. Thanks, sis! 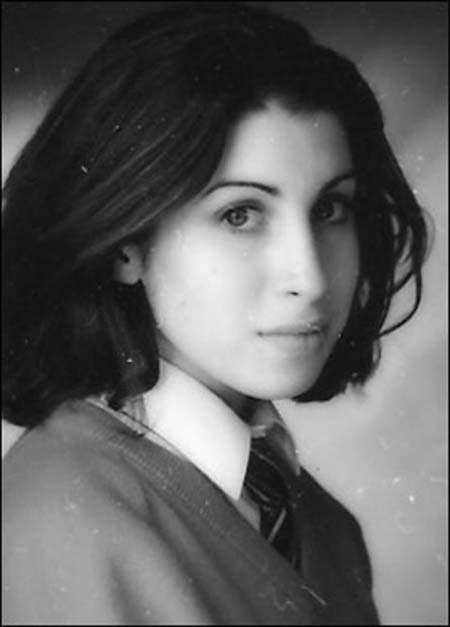 One can only wonder how Miss Winehouse would have evolved musically had she lived. But that damned "Curse Of 27" claimed her before we got to see just how far her excellent musical skills could go.